International Traffic in Arms Regulations (ITAR) is a set of U.S. Government regulations that requires all manufacturers, exporters, and brokers of defense articles, defense services or related technical data to be ITAR compliant. 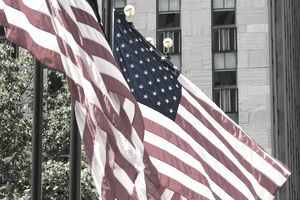 If your company falls under these categories, the following information will help answer some of your questions as to whether you need to become ITAR compliant and how to go about it. As discussed elsewhere, before you can export, you must know what you are exporting. That’s no different in this instance either. Find out if what you want to export; defense articles and defense services, for example, are covered in the U.S. Munitions List (USML), found in Part 121 of the ITAR (refer to: http://www.pmddtc.state.gov/regulations_laws/documents/official_itar/ITAR_Part_121.pdf). On the USML, you will find more than 10 different categories. I'll list a few, but this is by no means the entire list. Review the USML carefully to determine if your product is included. Category I: Firearms, close assault weapons and combat shotguns (non-automatic and semi-automatic firearms, for example). Category II: Guns and armament (guns over caliber .50 and flamethrowers specifically designed or modified for military application, for example). Category III: Ammunition/ordnance (components, parts, accessories, attachments and associated equipment specifically designed or modified for the article in this category, including, but not limited to, cartridge cases, power bags (or other propellant charges), bullets, jackets, cores, shells (excluding shotgun shells) and other detonating devices for the defense articles controlled in this category, for example). Category IV: Launch vehicles, guided missiles, ballistic missiles, rockets, torpedoes, bombs, and mines (i.e., launch vehicles and missile and anti-missile systems including but not limited to guided, tactical and strategic missiles, launchers and systems, for instance). Category V: Explosives and energetic materials, propellants, incendiary agents and their constituents (explosives and mixtures thereof, for example). Registration: Any person who engages in the United States in the business of either manufacturing or exporting defense articles or furnishing defense services is required to register with the Directorate of Defense Trade Controls (go here to learn more: http://www.pmddtc.state.gov/registration/). According to the U.S. State Department, registration is primarily a means to provide the U.S. government with necessary information on who is involved in certain manufacturing, exporting and brokering activities. Registration does not confer any export rights or privileges but is a precondition for the issuance of any license or other approval for export. The period of validity for new and renewal registrations is 12 months from the date of issuance. Fees: The set fee for new registrants is $2,250 (manufacturers/exporters and brokers). However, persons registering as a manufacturer/exporter may also simultaneously register as a broker with a consolidated DS-2032 Statement of Registration and not be charged a separate broker registration fee. Do it right the first time on your registration. Registration fees are nonrefundable. For guidance, review the frequently asked questions (FAQs)—Registration at the US State Department (http://www.pmddtc.state.gov/registration/faqs_reg.html#2). Still stuck? Direct your general questions to the Directorate of Defense Trade Controls (DDTC) Response Team at 202-663-1282 or by email at DDTCResponseTeam@state.gov.